Today I will talk about the Coriolis effect, that we all know by flushing the water but in the end, many do not know the reason for it. As the name suggests, it is an effect, then it is not law, not force (real), is nothing and if something happens is due to a cause. 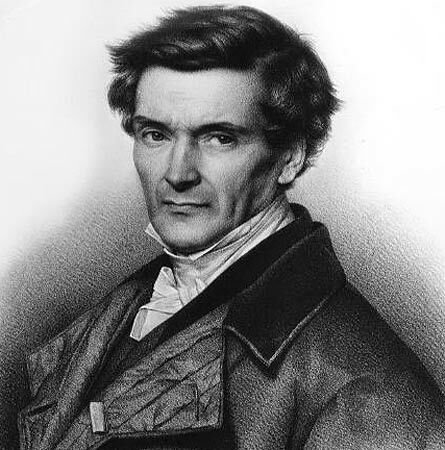 The Coriolis effect was “discovered” (has always been) by Gaspard-Gustave Coriolis, a French engineer, about 1800-1830 and is realized when throwing something in a straight line for long periods of time in order not kept the vector showing a bend in the path. This effect is due to the rotation of the Earth and is easily explainable. This is when we launched an object, for example, to the north of the Earth, this, the Earth is spinning and we, the observer is in the reference system rotating (Earth, come on) moving relative to the path of the object which makes see that the object’s trajectory is not straight but curved. That is, it is a mere reference system problem. The effect happens every object that is not “stuck” to the reference system, ie, things that fly (yes, the planes too), liquid (c’mon, seas, water) and gases (the earth’s atmosphere). Although you may not believe the Earth rotates very fast. You can make the calculation easier knowing that one day runs 360 degrees and the circumference of the Earth is 44,000 kilometers, ie in one day travels 44,000 kilometers every point on the surface (measured from Ecuador). This gives us a result of 465.1 meters per second. An atrocity. Known as the Coriolis effect it is what everyone we did when we crossed the Ecuador, flush the water. And that water is like liquid that is not subject to the reference system revolves direction clockwise in the northern hemisphere and counterclockwise in the southern hemisphere. The calculation of the effect, Coriolis acceleration is very simple since you just have to imagine the Earth with man-made elements: meridians. All moving objects on the Earth’s surface move in a horizontal to the earth plane (obviously, so they are on the surface and therefore always perpendicular to the speed of rotation of the Earth (the angular velocity). Where m is the mass of the body that we throw, V is the velocity of the body and omega the angle of where we are relative to Ecuador (I spent the scalar product because if as it really is F = 2m (wxv) where x is the vector product). They are very simple calculations if we consider that what we do is a change of the reference system of the object to the observer. Come on, basic algebra.